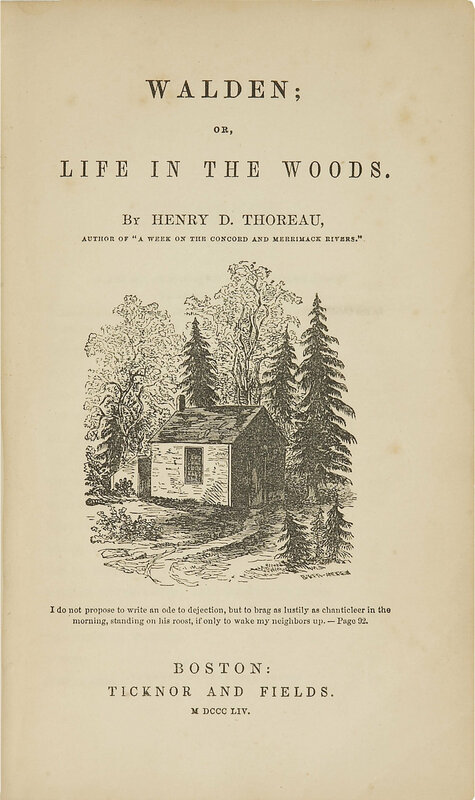 While there is controversy over how true Thoreau was to this lifestyle (some say he visited friends, dined and lived luxuriously for short spurts), it is nonetheless a fascinating book about living minimally, efficiently and naturally. We really need so little to be content and this book is the epitome of that notion. Slow at times but well worth it to get the overall lessons and great quotes. “I also have in my mind that seemingly wealthy, but most terribly impoverished class of all, who have accumulated dross, but know not how to use it, or get rid of it, and thus have forged their own golden or silver fetters. Describes other spring events as well – growing of trees, animals coming back out of hibernation, etc. This entry was posted in Books and tagged Essentialism, Henry David Thoreau, How to Live Life, Philosophy, Simplicity on March 10, 2015 by Blas.